1887 Lorillard’s Mechanics Delight (N269) Jimmy Elliot. 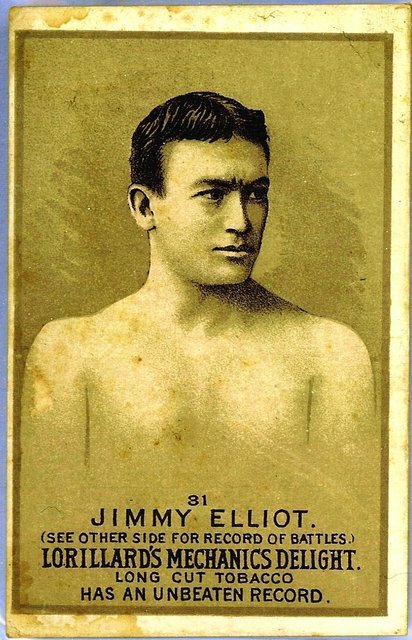 Lorillard issued this sought after set of fifty numbered boxing cards in 1887. Personally, my favorite 19th century set; I appreciate the broad scope of subjects, the numbering, and the write ups on the backs of the cards.